Roses are exceptional plants but require lots of care to ensure their health and vigor. 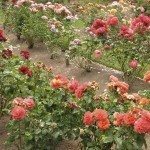 They are especially sensitive to being moved, but with proper care, including tips on when and how to transplant a rose bush, you can continue to enjoy their beauty for years to come without any ill effects. Read on to learn more about how to transplant roses. When Should You Transplant Roses – in the Fall or Spring? Questions commonly circulate about should you transplant roses in the fall or spring. Typically, this depends on where you live. Warmer climates, for instance, may find it better to transplant them in fall while people in cooler regions find that transplanting rose bushes is an easier task in spring. 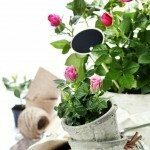 As roses are sensitive to shock, moving them while dormant (in late winter or early spring) is generally recommended. When transplanting rose bushes in spring, wait until all threat of frost or freezing weather has passed. 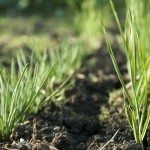 The soil should also be relatively warm and manageable. Fall planting can occasionally initiate dormancy and should be done before the onset of frost or overly frigid temperatures. Before you move a rose bush, there are some important things to know. Roses thrive in areas with good, fertile soil enriched with organic matter. They also require plenty of sun and water. With this in mind, be sure to transplant roses in similar locations and conditions. 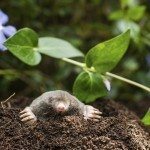 Always prepare the bed or planting hole in advance, working in plenty of compost. The hole should be at least 15 inches deep and wide enough to accommodate the rootball and root system (approximately 12 inches or so). Build up a small mound of soil in the center of the hole for your rose bush to sit on. Rose bushes should also be watered thoroughly for about two days prior to transplanting. 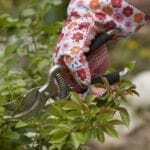 For best results, choose an overcast day for transplanting rose bushes. In addition to knowing when transplanting rose bushes is best and preparation beforehand, it’s important to know how to transplant a rose bush. Once the hole has been properly prepared and the rose significantly watered, you’re ready to move it. Dig about 12 inches around the bush and approximately 15 inches deep. Carefully lift out the rootball, taking as much soil with it as possible. Place the bush in the hole on the mound, spreading out the roots. The rose bush should be sitting slightly above ground level. Fill in around the rose bush with half the excavated soil. Then water it thoroughly, allowing it to fill up and drain before backfilling with the remaining soil. Press down firmly to eliminate any air pockets. After planting, prune the rose back as much as possible using angled cuts and removing any spindly, unsightly, or weakened branches. Continue to keep the rose bush watered. If you follow these tips for transplanting a rose bush, your chances of success will be greatly improved.